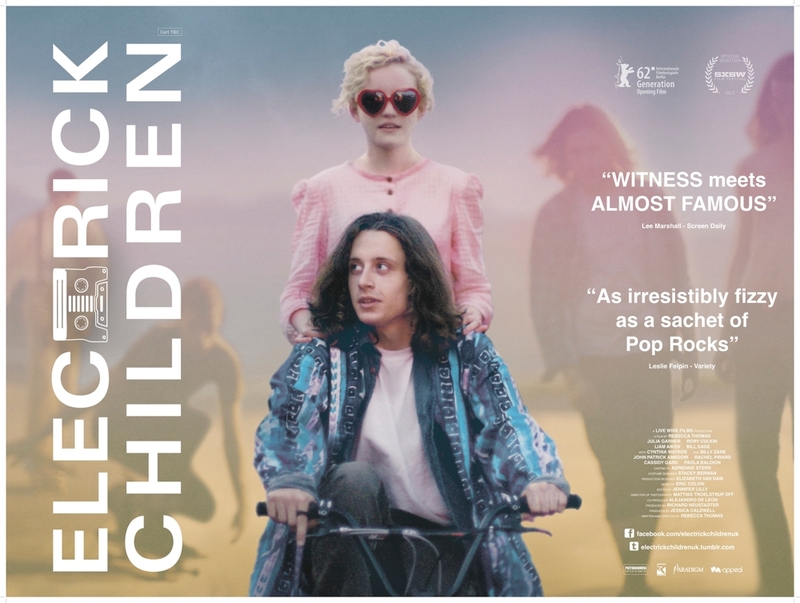 As we bound jauntily towards the weekend we’ve got a nice exclusive for you in the form the UK poster for Rebecca Thomas’s festival favourite Electrick Children. The film played very well at Berlin and SXSW and is being released by Revolver here in the UK on the 13th of July. The film is the feature debut from writer/director Thomas and she has a nicely eclectic cast with Rory Culkin, Julie Garner and Billy Zane thrown into the mix. A synopsis wouldn’t go amiss right about now, eh? Rachel (Julia Garner) is a rambunctious teenager from a fundamentalist Mormon family in Utah. On Rachel’s 15th birthday, she discovers a forbidden cassette tape with rock music on it. Having never heard anything like it, Rachel has a miraculous experience. Trailer from Electrick Children on Vimeo.